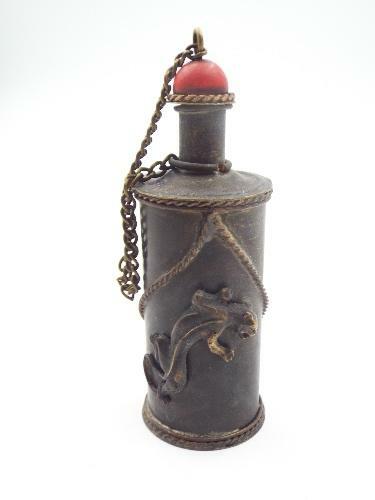 This unique Snuff Bottle would be worn as a pendant on a necklace or more commonly worn around the waist and clasped to a belt. 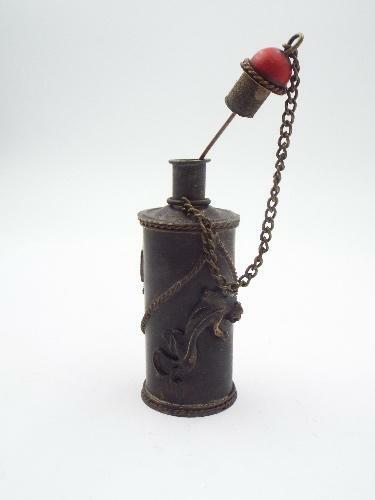 This snuff bottle retains the original cap and spoon. 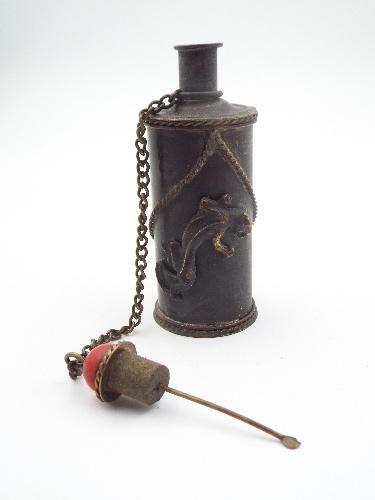 Snuff Bottles used to contain medicinal herbs and powers used by traveling monks. These herbs and powders were used while meditating. Circa mid century. 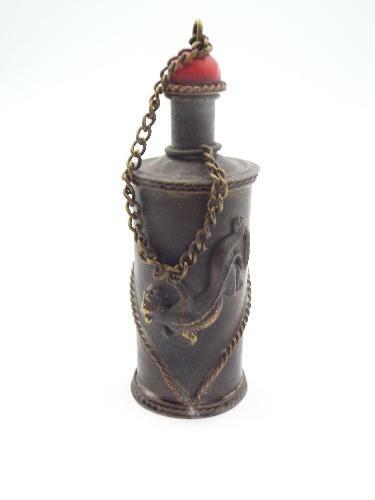 Origin: Thailand, Material: Antique Bronze and Copper. Measurements: 2.5 x 1.25 x 1 inches. Weight: approximately 4 ounces.